After years of fielding complaints about a sickening stench, DEQ takes action against two oil recycling companies after infrared camera confirms they're the culprits. For years, dozens of North Portland residents have complained about whiffs of nauseating air seeping through their doors and windows at random hours of the day and night, waking the sleeping and sickening many with headaches or worse. Many say the odors, a sulfuric stench with harsh petroleum undertones, were particularly awful this past Christmas. Though the Oregon Department of Environmental Quality has been aware of the odors at least 17 years, until recently it has been unsure where they came from. The festering problem has angered scores of residents on Hayden Island and surrounding neighborhoods and caused friction between DEQ and NW Natural, which was wrongly fingered as a source of the odors. But DEQ now suspects the source is a pair of North Portland companies near the Expo Center that recycle used motor oil. Tuesday evening, the DEQ holds a public information session to explain what it is doing about the odors. Residents hope it will clear the air and lead to a resolution of the long-simmering problem. But both companies — American Petroleum Environmental Services (APES) and Oil Re-Refining Co. (ORRCO) — still deny they are responsible for the pungent whiffs of foul air. 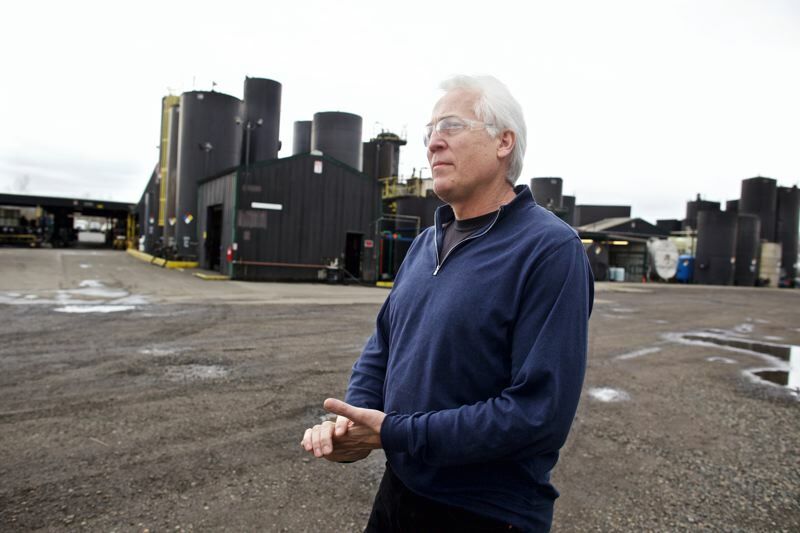 "I do not believe the DEQ knows the source of odors," Mike Mazza, owner of the APES plant, told the Tribune. "I never heard they confirmed ORRCO was the source of the odor," concurred Scott Briggs, that company's owner. "I don't think that's true, and we have done a lot in the last year to make sure we are not the source of odor." APES and ORRCO set up shop in Portland in 2001 to meet an important environmental objective: recycling used motor oil. Because the facilities deal with toxic chemicals, they are supposed to be closely monitored by DEQ. But a Tribune investigation and review of DEQ files revealed that a series of blunders by the state agency enabled both companies to operate with impunity for several years without the necessary pollution-control equipment. DEQ records revealed that the APES plant, located at 11535 N. Force Ave., has been operating without pollution-control equipment since 2006, when its previous owner, ORRCO, unlawfully scrapped thermal oxidizers that had been installed three years earlier to destroy hazardous pollutants. Air pollution permits for both APES and ORRCO plants expired in 2013, but the DEQ says it is allowing each plant to continue to operate while it works on writing new permits, possibly with stricter terms and pollution limits. Michael Orman, a DEQ air quality manager, said that when the APES plant manager removed the equipment in 2006, the company devised an alternative method for controlling its pollution. DEQ's policy is to test pollution-control equipment, but because the agency never was informed about the alternative method, it could not test it, Orman said. Aggravation caused by the odors seemed to peak on Dec. 25. "I started noticing the smell over Christmas," Chandra Dragulin, a North Portland resident, wrote in a post on the social media site Nextdoor.com. Dragulin, a hair salon owner who lives near the Columbia Edgewater golf course, said the odor on Christmas "was so strong my husband and I could smell it from inside our car at the end of our street. I have a toddler and moved here to get away from the city to provide a healthy outdoor experience for my daughter like I had growing up. I did not realize I was moving into an ongoing toxic emissions battle or exposing her developing lungs to potentially long-term issues." She told the Tribune she'd been smelling the foul odors long before December, and has been getting "sick with respiratory ailments pretty consistently" since moving into the house two years ago. During the holiday, dozens of other people, from North Portland's Kenton neighborhood to Vancouver, reported similar episodes to the Tribune, the DEQ and NW Natural, the regional natural gas utility. A DEQ spokesman said the agency heard a half-dozen complaints on Christmas. The gas company, which must investigate each complaint as a potential gas leak, received about 30 calls on Dec. 25, with the majority occurring late afternoon, said spokeswoman Melissa Moore. "We responded to those calls and found it was not natural gas," she said. Another flurry of odor complaints had appeared at the Nextdoor site four months earlier, when Eugene A. Newell Jr. wrote that he and his wife were awakened in their Hayden Island home one August night at 2 a.m. by the smell of oil. "Our dogs were barking and acting weird," he wrote. "We got up and had to close our windows immediately. Oil odor filled our personal and private space. We both had serious headaches and woozy heads. (sic) Vomiting and our eyes hurt. Neck stress around the shoulders and that nasty disgusting taste of oil in the back of our throats. THIS MUST STOP!!!" Moments later, Nancy Henry of the Sunderland neighborhood wrote that she "also smelled this acrid, burning smell at the same time of night all the way back on NE 33rd and Columbia." Oregon law prohibits businesses from emitting odors that cause a nuisance, according to the DEQ. If all goes according to plan, the pollution controls at the APES plant soon will reappear. In an agreement reached two days after last Christmas, Mazza promised DEQ he would reinstall the oxidizers during a plant upgrade. Mazza, who expects the work to be completed in May, was part of a group that purchased the APES plant from ORRCO in 2009, and he has been the plant's sole owner since 2014. Orman, the DEQ air quality manager, said it was illegal for the plant to remove the pollution-control equipment. However, because of a loophole in its air pollution permit, it has not been illegal for APES to operate the plant the last 11 years without the pollution controls. Orman said the plant can continue to operate without the equipment until the DEQ closes the loophole in the next permit. The new air pollution permit in the works and the December 2016 agreement reached with APES will correct that "gap," he said. DEQ did not discover the equipment had been illegally removed until an inspection in 2011, Orman said, but because of another oversight it never prosecuted the violation. Recently, it decided to forego prosecution altogether because, Orman said, it would not be fair to penalize Mazza for a mistake committed by ORRCO, the previous owner. DEQ has not decided whether to cite ORRCO for its role in the violation, he said. Mary Lou Putman, who lives about a quarter-mile downwind from the two plants on nearby Hayden Island, said this series of errors, along with the DEQ's refusal to prosecute, shows that the agency has been "hoodwinked" by the polluters. Meanwhile, ORRCO has been working with the DEQ to identify pollution-control options for its plant, which is located at 4150 N. Suttle Road, Orman said. The DEQ is requiring it to submit reports and test results two times a month. "Everyone in this industrial area has had odors," said Briggs, the ORRCO owner. "We have done everything we can do to reduce any potential odors, and anything to eliminate has been and is on the radar just to be sure we're good neighbors." ORRCO expects major improvements under new technology it will install that includes membrane filtration and a new thermal oxidizer that will control emissions of volatile organic compounds or VOCs, Briggs said. "It's part of the (new) permit to stop the odors," he said. U.S. Environmental Protection Agency officials also have launched investigations of both plants. EPA officials said in a letter to ORRCO that the agency wants to determine whether the company is currently complying with hazardous waste laws. A review of DEQ records shows that from 1992 to 2012, the DEQ assessed ORRCO $458,000 in fines for various hazardous waste violations. Other letters written by EPA officials to the companies show it also has concerns about large quantities of polychlorinated biphenyls or PCBs that have been stored at both plant sites. Under EPA orders, ORRCO recently removed 150,000 gallons of PCB-contaminated liquids. The agency also found APES is storing some 200,000 gallons of PCB-contaminated liquids at its site. 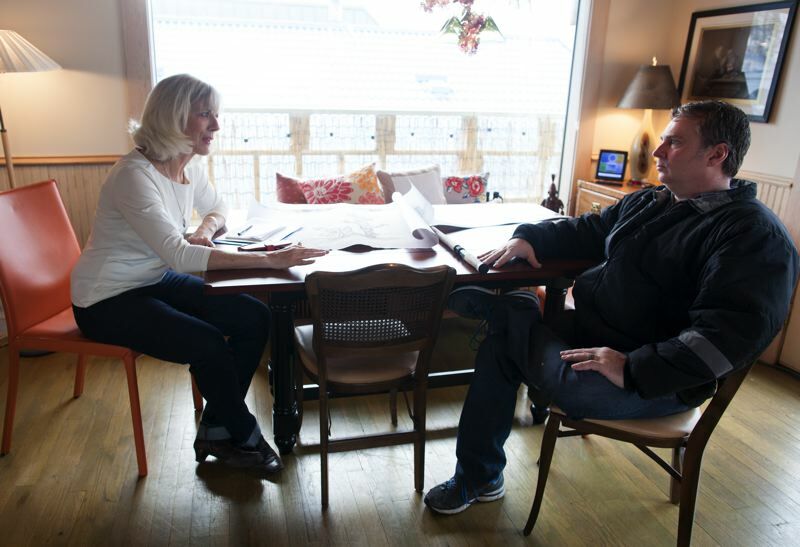 When Mary Lou and Steve Putman moved into a Hayden Island houseboat in July 2015, they began blogging about their own search for the source of pungent odors. 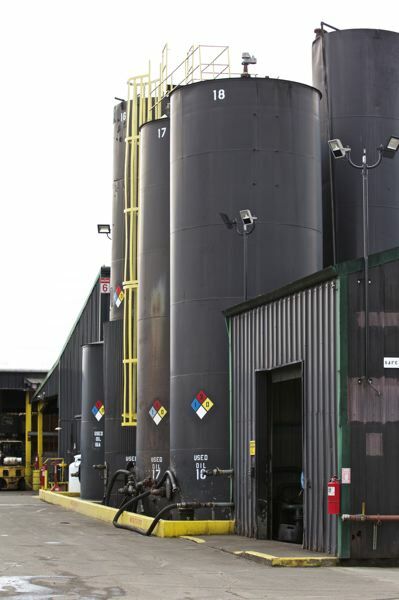 They quickly determined the smells were coming from the two oil recycling plants, and offered a theory as to why DEQ had been unable to solve the riddle. "Based on our log of recent off-gassing incidents, we think they are purposefully flying under the radar during off hours to avoid detection by regulating authorities," they wrote in one of their first blog posts. "In the process, they are polluting our air and our lungs and making conditions miserable." At first, the Putmans said, DEQ officials told them that they doubted the two plants were the source of the odors, an allegation that is consistent with numerous DEQ memos written at the time. But a month later, in September 2015, DEQ determined that the odors were coming from a facility that "processes a product containing petroleum-based compounds," according to Orman. On Sept. 24, the DEQ and EPA deployed a thermal imaging video camera (FLIR GF320) during an unannounced inspection at both plants and concluded that the two plants were, in all likelihood, the source, Orman said. The infrared videos, which were released only recently to the Tribune in response to a public records request, show billowing clouds of pollution that cannot be seen by the naked eye pouring out of each plant's smokestacks. As the camera rolled, the EPA inspection team reported they detected "a distinctive petroleum-like odor." The inspection team also deployed a photo-ionization detector, a device that measures volatile organic compounds and other gases. "Both devices indicated emissions of volatile organic compounds (VOCs) from several points within the boundaries of these two facilities," Julie A. Vergeront, an assistant regional counsel for the EPA, wrote in an email. Mazza described the emissions depicted in the videos as "very miniscule." Although DEQ's website says the North Portland odor complaints began in August 2015, DEQ documents obtained via public records request show that people have been complaining about them to DEQ and others since February 2000, if not earlier. The documents show that the pace of complaints surged in 2006, around the time the APES plant removed the thermal oxidizers. By 2007, NW Natural, which fielded many of the odor complaints, appears to have grown weary of sending out crews in response to each odor complaint and launched its own investigation. Memos written by gas company officials indicate they determined the entire city had been affected by the North Portland odors. DEQ documents show that on Nov. 18, 2007, the gas company received 50 calls from "all over" the city, including Southeast and Southwest Portland. The odors were "causing widespread panic," a gas company official said in a memo on file with the DEQ that was shared with the Tribune. Another document in DEQ files shows that three days later, the gas company received another 80 complaints. A manager at what is now the APES plant accused gas company officials of "becoming belligerent, telling us that they were sick and tired of getting phone calls from all over Portland now. Their tone has become confrontational to say the least. Dammit we are getting tired of this." NW Natural's investigation appears to have come to fruition in March 2008, when Clark Apodaca, an emergency response coordinator with the company, reported that he was certain the odors were coming from the APES plant, according to another DEQ document. As Apodaca sat in a van parked at the site, he noticed the odor "was very strong and just like we have smelled for years." DEQ files show the agency did not concur with this finding, but do not say why — or even whether the agency reviewed it. More than a year after Apodaca's visit, DEQ officials were rejecting his conclusion and seemingly working with APES to disprove the theory. "It sure would be nice for NW Natural to look into these complaints more, rather than point fingers at your facility," Tina Leppaluoto, a DEQ compliance officer, wrote in a letter to an APES plant manager in March 2009. "Even though they haven't been able to prove that it was you guys causing the odors, you are still being blamed. I bet if they ever did find the source of the odors, they would never reveal that information to you. Hang in there and keep me posted on the status of the business operation, especially when odor complaints have been received when you are not operating." Asked last week to comment on Leppaluoto's chummy letter to APES and what it revealed about the regulator's approach to the company, Nina DeConcini, DEQ's Northwest region administrator, acknowledged those remarks were "inappropriate," and not based on hard "data." "The expectation of our inspectors and our staff are to objectively interact with all of our regulated parties and to treat everyone fairly," DeConcini said. Leppaluoto remains an air quality inspector for DEQ, though she's not working on the APES and ORRCO permits, DeConcini said. NW Natural's spokeswoman did not respond to questions about the memos. In April 2009, the DEQ issued the current air pollution permit for the APES plant without noting that the air pollution equipment was missing. The permit said that an inspection in October 2006 had found that the plant was "in compliance" with its previous permit. A DEQ report attached to the permit noted that "numerous investigations" of the odors had been conducted by the agency and NW Natural. "The investigations sufficiently ruled out" the APES and ORRCO plants as the sources of the odors, the report said. "Considering the (APES) plant is located in an industrial area, the number of complaints is insufficient for odors to be considered a nuisance." Although DEQ has developed a strategy for addressing odor complaints, emphasizing such things as early odor detection, voluntary cooperation and the rapid resolution of nuisance conditions related to odors, the agency has never conducted a formal nuisance investigation at the two plants, the agency says on its web site. But Orman said he expects the December 2016 agreement to quickly resolve the problem. "The nuisance odor investigation process can be exceptionally lengthy," he said. Mazza said the APES plant would be cleared in any investigation of the odors. "I believe the upgrade that I am going to do will eliminate my facility as a suspect." The neighbors, meanwhile, wish the DEQ had taken action by now and do not want to wait any longer for a solution. "The DEQ is pandering to the polluter," Mary Lou Putman said, "treating APES as a customer, and treating citizens as if we're bothering them." The DEQ has invited the public to an informational meeting on American Petroleum Environmental Services' application for a new air pollution permit on Tuesday, March 7, at 6 p.m. at the Red Lion hotel, 909 N. Hayden Island Drive. Later this year, the DEQ will draft a new permit and hold a public hearing. The existing permit was issued on April 1, 2009, and originally scheduled to expire on Dec. 1, 2013. It will remain in force until final action is taken on the new permit. In addition to bad odors, the two oil recycling plants in North Portland emit hazardous pollutants into the air. Based on self-reported data for 2011 through 2015, APES emitted about 70 tons of sulfur dioxide and ORRCO 66 tons. ORRCO emitted about 51 tons of VOCs, compared with 22 tons from APES. ORRCO emitted about 33 tons of the tiny particulates, compared with 2 tons from APES. The two plants have different niches and production techniques. The APES plant from 2011 through 2015 produced about 40 million gallons of recycled petroleum products, including oil, diesel and asphalt. The ORRCO plant produced about 10 million gallons of oil. All of the two plants' air emissions were within legal limits, DEQ reports show. Nina DeConcini, a regional manager at DEQ, said the emissions were not a health threat. 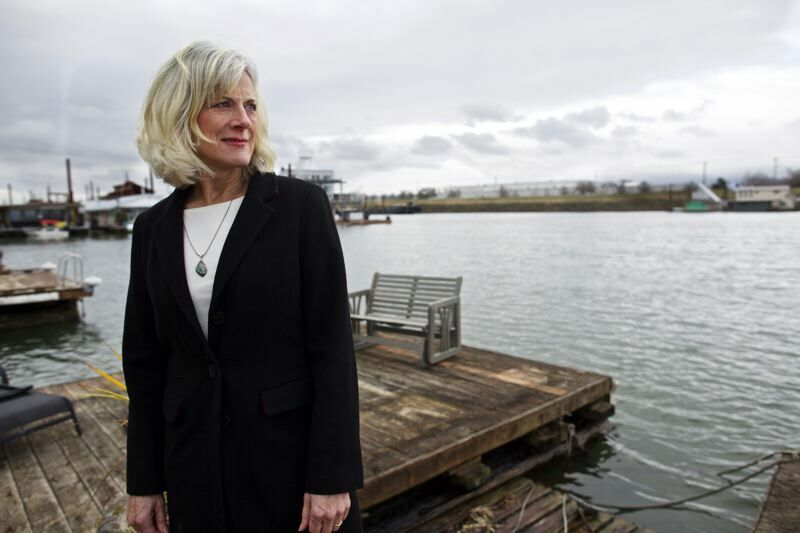 While DEQ officials "understand the impact odors have had on the Hayden Island community, we have not yet detected levels of air toxics at levels that increase risk of disease," she said. DeConcini said odors from industrial facilities "can indicate the presence of potentially harmful pollutants. In addition, they can pose a nuisance and affect the quality of life in surrounding communities. However, people may smell pollutants below levels than those that would damage cells or organs resulting in disease." DeConcini said the EPA and DEQ conducted air monitoring tests in 2015 and 2016, and found "no poisonous or life-threatening levels of pollutants" in the nearby air. Lisa Arkin of Beyond Toxics, a Eugene-based group that is lobbying the Oregon Legislature to enact stronger air pollution laws this year, said even though the plants' air emissions comply with their air pollution permits, that does not necessarily mean they are safe. DEQ does not factor in the cumulative impact of emissions, she said. "The government is responsible for protecting public health," Arkin said, "but the Oregon system has not ever considered health impacts to breathers until just this year. The Oregon regulations do not protect us. The regulations allow these ongoing exposures to highly toxic regulated pollutants." Portland doesn't have any oil refineries that process crude oil. But it does have two companies that recycle used oil, American Petroleum Environmental Services (APES) and Oil Re-Refining Company (ORRCO). The motor oil that you put into your car doesn't wear out — it just gets dirty. Although contamination reduces its ability to lubricate, the oil still maintains its basic lubricating properties. But it also is toxic: Used motor oil can contain such pollutants as chromium, lead and polynuclear aromatic hydrocarbons. The EPA says almost 300 million gallons of oil are improperly disposed of each year. The wrong way of disposing used oil is to pour it down a storm drain, into a drainage ditch or on the ground. 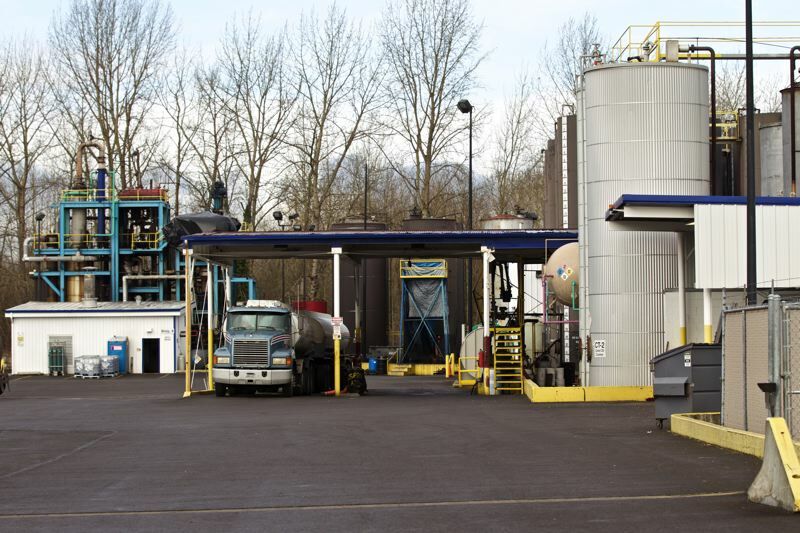 In Multnomah, Washington or Clackamas counties, it's easy to recycle your used oil. Just leave it at the curb in a well-rinsed, transparent, nonbreakable container with a screw-on lid (milk jugs work well) and your local curbside recycling service will pick it up. Or you can take it to a recycling center. Eventually, the used oil may wind up at the APES or ORRCO oil recycling plants, which are among more than 300 companies in the United States that remove contamination from oil and sell it again as a lubricant, industrial fuel or asphalt. A wide range of treatment methods are used in this "re-refining" process, including distillation, gravity separation, heating, filtration and the addition of demulsifying chemicals. The used oil is heated or "cooked" to about 500 degrees, a process that produces some air pollution. The EPA says oil recycling reduces waste and curtails the need to drill for more oil. When you buy a quart of motor oil, about 10 percent of it has been recycled, according to the National Oil Recyclers Association, the oil recycling industry's trade group. Founded in 1985, its primary mission is to fight the hazardous waste designation of used oil, and to help the EPA develop used-oil management standards.